Tiger Woods was in the hunt at the Valspar Championship and America tuned in to see him in his traditional Sunday red in record numbers. NBC saw a record 5.11 overnight rating on Sunday for its 3pm-6pm coverage of the final round of the Valspar Championship, the best rating for a non-Major PGA Tour event since the 2013 Players Championship according to Yahoo. NBC’s overnight rating was a 190 percent increase over last year’s final round of the Valspar Championship. It was also the best-rated golf telecast, other than The Masters, since the 2015 PGA Championship. NBC Sports also saw a record 3.26 overnight rating on Saturday, the best-rated third round of a PGA Tour event on any broadcast network since 2006. 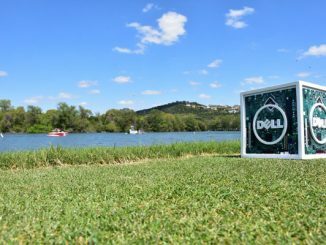 According to Golf Channel PR, the Valspar Championship saw 27.2 million minutes streamed across Golf Channel / NBC Sports Digital platforms. It becomes most-streamed PGA TOUR event ever for the network, and 4th most streamed golf event overall for NBC Sports behind the 2016 & 2017 Open, along w/ 2016 Ryder Cup. The final RD lead-in coverage on Golf Channel (1-3p ET) earned a 1.65 Overnight rating, becoming the highest-rated Golf Channel PGA TOUR lead-in telecast on record (2009-‘18). Coverage peaked at a 6.62 on NBC (5:30-6p ET) and a 2.12 on Golf Channel (2:30-3p ET). 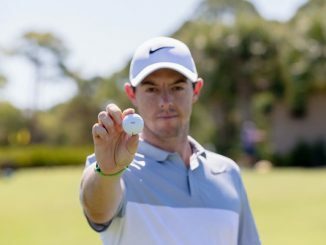 The Valspar Championship had record attendance with Woods and Rory McIlroy making their first appearances in the event that is held at the Innisbrook Resort in Palm Harbor, FL. In case you missed, it Paul Casey won the event, capturing his first PGA Tour title since the 2009 Houston Open.